Give a special homemade gift sure to pamper the recipient this Christmas – our Brown Sugar Bath Cakes are a scrumptious addition to any bath! 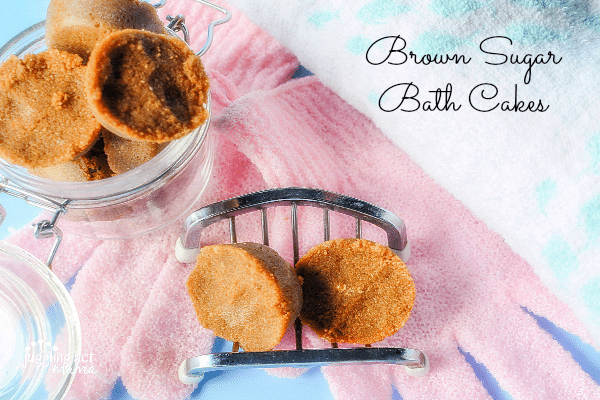 Homemade bath and beauty products are really so easy to make. 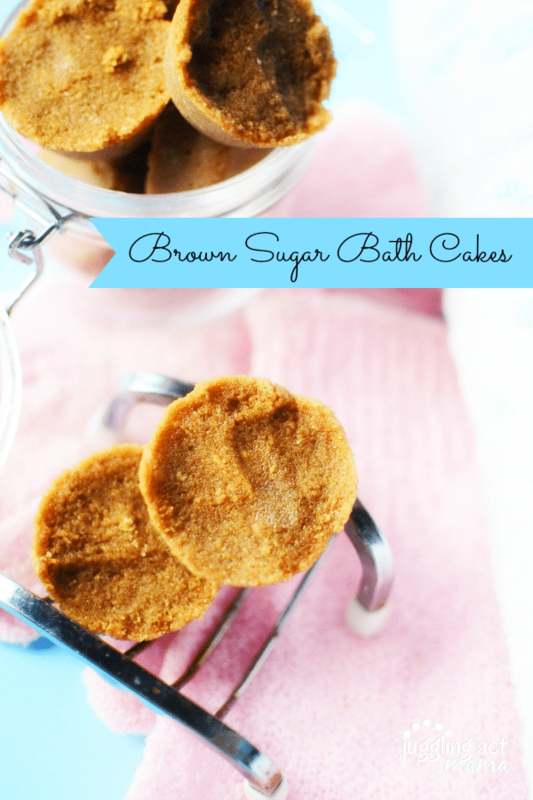 These brown sugar bath cakes are an awesome hostess or holiday gift you can make at home in no time. The sugar is great for exfoliating your skin, while the coconut oil helps hydrate and moisturize. This recipe makes 9 brown sugar bath cakes, and they’re great stocking stuffers packaged in groups of three. 1. Slowly melt coconut oil in a pot. When melted, add the shredded soap and stir until melted. This may take a while so patience is required. (1/2 hour or so). You could increase the heat to speed up the process, however, you want to be careful not to burn the oil and make the soap foam. 3. Stir to a sandy consistency. 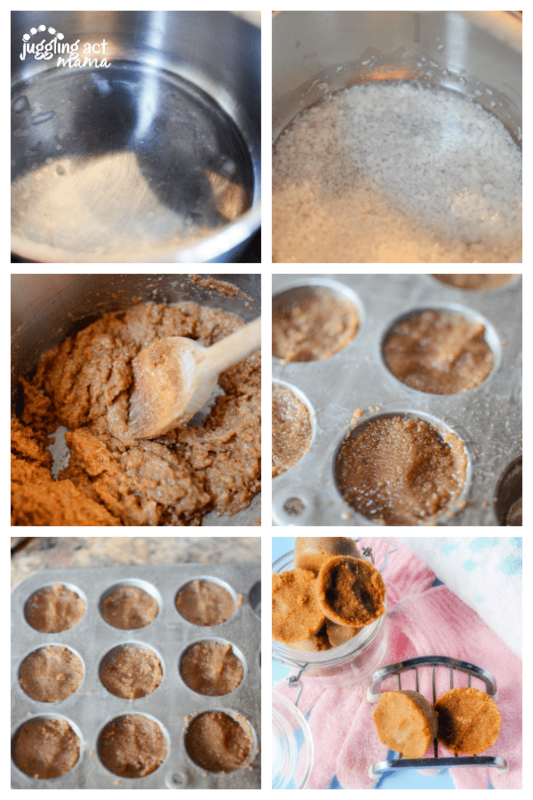 Spoon into a mini muffin tin that has been greased or sprayed liberally. 5. When removing from pan, QUICKLY run the bottom of the pan under hot tap water to slightly loosen the cakes, and then softly bang the pan on the counter to release the cakes. Put the cakes in a bowl and return to the fridge to harden any soft spots. 6. To store, keep them at a cool temperature and in a covered container. 7. To use, while bathing, take one cake and rub it in your hands to melt it slightly. You can use the cake directly on your skin to exfoliate or you can rub the ingredients on your hand, and then rub your hand on your body to exfoliate. Use until the cake is finished. Recipe makes nine small bath cakes. These little babies are also a great addition to any Self Care regime you might have!